With its beachfront views and exciting venues, Hallandale Beach is quickly becoming the premier place to call home in Southern Florida. You should be excited about your move in this incredible community, not worried about how you’ll get your stuff there. With our local moving packages you can easily afford to hand over the hard work, while you get ready to hit the beach. Call Orange Movers now to find out just how reasonable full service moving can be. Are you moving to South Florida, or planning to move to Hallandale Beach? Thinking about the pile of work you will have to do before you can peacefully rest in your new home? Looking for some professional and reliable Hallandale Beach Movers? Then look no further! Orange Movers has your back! We will help you with everything from logistics and packing your things to setting you up in your new home. And in this article, we take a detailed look at Hallandale Beach, as well as the things you can explore and do here after moving! Also, find out why we are the best Hallandale Beach Movers! The first thing you will want to do before calling our Hallandale Beach Movers is to learn a bit about Hallandale Beach itself! Hallandale Beach (or Hallandale for short) is a city in Broward County in Florida. Its name comes from Luther Halland, whose Swedish father worked for Henry Flagler’s Florida East Coast Railroad. The population of the city is estimated to be around 40,000 people. However, this number keeps changing, because Hallandale is one of the fastest growing cities in both the Broward County as well as the Miami Metro area. This is due to the huge number of retirees who pick Hallandale as their new home. A lot of things in Hallandale are about money. The city boasts a large financial district. If you are working within money management, you can find the offices of many banks and brokerage houses here. And to spend all that money, you can visit the world known Hallandale casinos, such as Gulfstream Park and Mardi Gras Casino. Florida Derby is a sight to see! During October until December, Gulfstream Park is a host to Florida Derby. This is one of the largest horse racing events in America. Whether you are betting or not, it is a sight to see! Gulfstream is not only about horse racing. It has all sorts of entertainment for you, as well! THere are pottery classes, bowling, as well as both karaoke and live music! And if you are feeling like celebrating, you can book your own private party extravaganza! However, casinos and partying aren’t everyone’s cup of tea. There are people with kids who prefer to spend their time relaxing and enjoying the nice Florida weather instead. If this is you – then Hallandale also has things for you! You can always visit the public Joseph Scavo Park, or any other Hallandale parks, for that matter, and have yourself a blast! If you have a dog, bring him with you! You can jog and work out in designated areas, or take your kids to one of the many playgrounds. This is one of the easiest and best ways to make new friends, both for you and your children! We are the Hallandale Beach Movers you can trust! One of the most important traits any and all Hallandale Beach Movers need to have is reliability. And a company can gain this only through years and years of experience. Our clients can vouch for us – we are the movers you can count on. Whether it is packing your items, loading and unloading them in our truck, transporting your furniture or setting you up in your new home – we are the people for you. You want movers that have experience. Only then can they be able to solve a problem that might arise, but more importantly – spot a danger of a problem appearing, and stop it before it even happens! The years of experience have taught our movers all the necessary skills to do this. They are capable, resourceful, and above all – reliable. A lot of the moves need to happen fast. For example, if you are moving for work, every day spent on the move is one day less in the office. In the long run, this means your company makes less money. Hallandale Beach Movers are well aware of this. This is why are workers are hard-working and efficient. Due to their experience, they will know the fastest way to bets pack your items, as well as what roads to take. They are well aware of all the little shortcuts you can take during your move, that save you both time and money, and in the long run – save you from a lot of stress. We take great care of your items. One of the biggest fears our clients always have is the safety of their items. You can sleep calmly – Hallandale Beach Movers put your satisfaction above all else. Our workers take great pride in their job, and they take great care of both your needs, as well as your items. You can be sure that we will handle your furniture with great care. Also, we will discuss the move in details with you once you make a call and set up a meeting. We will address all your concerns so you can rest assured that everything will go according to the plan that we make. Another important aspect of our service is the security of your items. Whether we are transporting them to your new home or to a storage in South Florida, you will know your items are safe in our hands. We have the modern equipment and experience necessary to protect your items from theft and damage of any kind. To conclude, there are many things you can do and enjoy in Hallandale. However, the first step to getting there is calling our professional Hallandale Beach Movers. The sooner you start arranging your move, the sooner you will be enjoying yourself in Florida weather and all the things you can do in Hallandale. There can be no denying that moving to a new home is back breaking work. The packing, lifting and loading not only puts a strain on your back, it takes up your time. With Orange Movers and our local move deals, you can leave the back breaking stuff to us, and focus on the fun stuff, like which umbrella to bring to the beach. Always personable, our expert movers are dedicated to ensuring that our residential clients don’t have to lift a thing. There’s a lot to moving a business from one office to the next. You’re worried about the loss of business, cost of moving, and the care of your business valuables. Orange Movers is worried about that too, and our friendly movers happily take on that burden so that you don’t have to. Whether it is just a small office space or a factory full of furniture, our commercial relocation experts will put their backs into making your move a seamless one. At Orange Movers we know that all of your stuff is special to you, but some may require a little extra tender loving care when moving. We are the specialty item moving experts, taking great pride in making sure that no matter how much it weighs or valuable it is, it gets to your new address in pristine condition. Stop worrying about how to transport that expensive art collection to your new home. Orange Movers will have it all figured out. 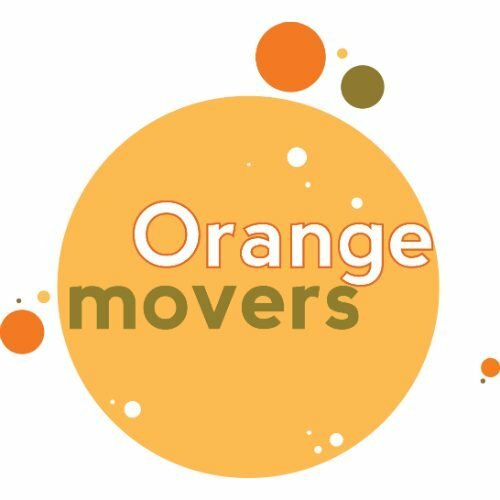 Orange Movers has been in the local relocation business for a long time, and has built a reputation for excellence in Southern Florida. Our reputation for being dependable is so good, that now most of our customers have been referred by our previous or existing customers. That means that many of the clients we have moved were so impressed that they recommended us to a friend. That others? They just don’t have any friends who are moving in Hallandale Beach yet. A full service move may sound pricey, but first compare the cost. Your time is precious, especially when caught up in a moving frenzy. Sit back and take a breather while the moving pros of Orange Movers put their time and effort into shipping your things, without a break in your budget. Orange Movers will get your stuff all boxed up, loaded in and shipped off, all at a cost that you can easily live with. Call now and learn more about our local moving deals in Hallandale Beach. You won’t find local moving deals like what Orange Movers offers from any other Southern Florida relocation company. Not only do you get a great deal on the price of your move, we provide 10 shipping boxes for free. You’ll even get a month of free storage in our own secure facility if you need a little time to make a little space. When you call Orange Movers for an estimate on your upcoming relocation, make sure to ask about your moving freebies. While other moving companies in Southern Florida are hiding their extra costs in the fine print, we are operating with total transparency. There will be no surprise bills once your welcome mat is out, and certainly no fees you didn’t sign on for. Be wary of other movers and their fine print, as it could end up costing your move a lot more than you had signed up for. Call Orange Movers for top quality service and straight forward prices. Luckily for you there is no extra charge for our reliable and friendly staff. Our movers are the best in the business, taking excellent care of your belongings and always with a smile. Expect a warm and friendly crew to show up at your door, and going out of their way to make your move an enjoyable one.